Energise and refresh your body and mind with our colourful range of aromatic body washes. 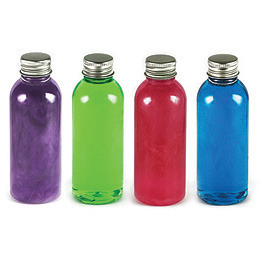 Transparent 125 ml PET bottle with stylish aluminium cap. Fragrances/Colours: lemon (yellow), strawberry (pink), watermelon (pink), vanilla musk (white), rose (pale pink), lavender and tea tree (purple), ocean fresh (blue), aloe vera (green), frangipani (yellow), orange (orange).